it a privilege to live in Copenhagen – or to visit and explore the city. It’s full of blue and green oases of all shapes and sizes. Copenhagen Green is about the well-known, lesser-known and almost secret places where nature and the city interact, and about what they have to offer in terms of activities. 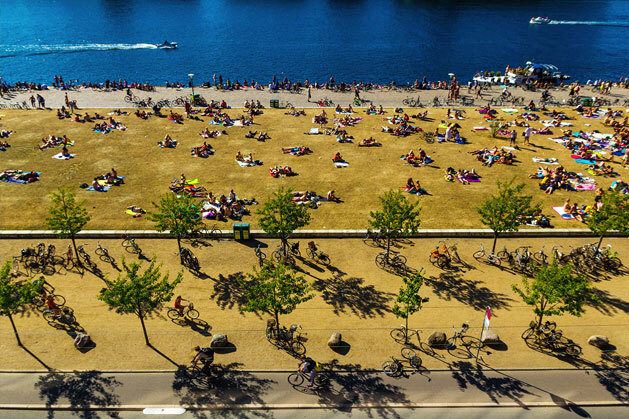 Copenhagen Green is a selection of 100 of the most exciting places in the city that offer the widest possible range of different things to see and do. They represent the diversity of green life in and around Copenhagen. Copenhagen Green was created by Life Exhibitions for Foreningen By & Natur and funded by Nordea-fonden.